Today’s online HBR ran an alarmist piece: “Why Companies That Wait to Adopt AI May Never Catch Up”. I’m normally a fan of HBR, but I cringed at the contrived urgency to “get on the AI train before it’s too late!” I’ve lived through multiple waves of technology adoption in the last 25 years and seen too much money and energy wasted in the frenzy of “we can’t fall behind!” Of course timing is a key part of a company’s tech strategy. Wait too long and you’re playing catch-up. Start too soon and you may be inefficient on the bleeding edge, and wind up with immature unstable technology. 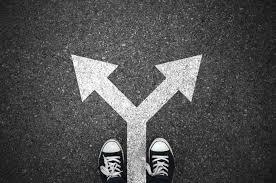 Companies need more choices and tools to navigate their adoption dilemmas. [Many companies] are planning to be “fast followers” — a strategy that has worked with most information technologies. We think this is a bad idea. It’s true that some technologies need further development, but some (like traditional machine learning [ML]) are quite mature and have been available in some form for decades. Even more recent technologies like deep learning are based on research that took place in the 1980s. New research is being conducted all the time, but the mathematical and statistical foundations of current AI are well established. The argument is arguably inaccurate and subtly frantic. AI/ML has been disappointing companies for decades and continues to disappoint to this day (does anyone really know how well Watson is doing?). Pitching ML as mature because it is “based on research” from several decades ago is misleading. Yes, the theory of ML had been lying around waiting for big data stacks and GPU chips since the 1980s(!). But that doesn’t mean you’re decades, or even years, behind. It’s only been in meaningful practice for a few years, by the biggest companies in tech, and with mixed results. are there valid use cases for your business? can you identify the value you will attempt to get out of AI? is your organization ready to act on the things AI/ML can teach you about your business? do you know that your cost-benefit analysis of AI/ML is accurate? is your organization ready to do AI correctly? Jumping into AI without clear answers to these questions is likely to waste time and money, burn out your teams, and squander executive goodwill. it takes time to gather data, point the AI at it, tweak the AI, and for the machines to actually learn something useful. Unlike a lot of technologies you don’t flip the switch and go – this technology has to be cultivated. This is a legitimate issue for companies and their executives to worry about. If your time from decision to acquisition to implementation is measurable in years rather than quarters, and you need time for the AI/ML to be trained and running well, you may very well be waiting several years to receive any benefits and find yourself struggling to catch up. The real issue isn’t that you shouldn’t be a fast follower. The real issue is being sure you can be a fast follower. Fast following can work, but only if you are organizationally ready. Every company has three choices it can make for tech: 1) do it now; 2) defer doing it and revisit it soon; 3) ignore it completely. Very few businesses can afford to ignore AI and ML, but the vast majority should defer with deliberate ongoing follow-ups. Smart following should include and be preceded by active deferral techniques. how long will it take to build this tech? In advance, set up the committees which will assess vendors when it’s time to move. Work with procurement to design a process that will be as fast as possible. Assign someone to start maintaining a list of likely partners and vendors you would work with. Invest some dollars in buying Gartner and/or other industry reports so that you’re staying up-to-date. Assign one person to be responsible for briefing the working group. If you’re keeping your eye on the technology and the competition, building alignment within the company on goals and timing, and are all smarter about the technology when the time arrives to jump in – you will move faster, smarter, and more effectively than if you simply act out of fear that you will never catch up.